At 07:00 AM we leave Quito and after driving south for 1,5 hours on the Pan-American highway we reach the park entrance of Cotopaxi National Park. We drive through pine forest and soon reach the museum of the park. After visiting the museum and savoring a cup of ginger tee we continue the ascent in our 4-wheel drive vehicle until we reach the highest point of the tour, 4.500 meters/15.000 feet. The view from this point is stunning and on a clear day we are able to see 8 volcanoes. We then put on helmets, gloves and protection pads and the bike adventure on the world’s highest active volcano can begin. The first 8 km will take us down 700 m. on dirt roads through volcanic ash and páramo landscape. At 3.800 m. you actually have to do some pedaling heading down another 8 km between volcanic rocks and wild horses to our lunch spot by an Inca ruin at 3.700 m. With some luck we might see a condor or a caracara. We put the bikes back on the jeep and head for the lake of Limpiopungo at 3.800 m. where we start the 16 km downhill biking on dirt roads. After another 2 km on a beautiful single track the bike adventure is over for this time. 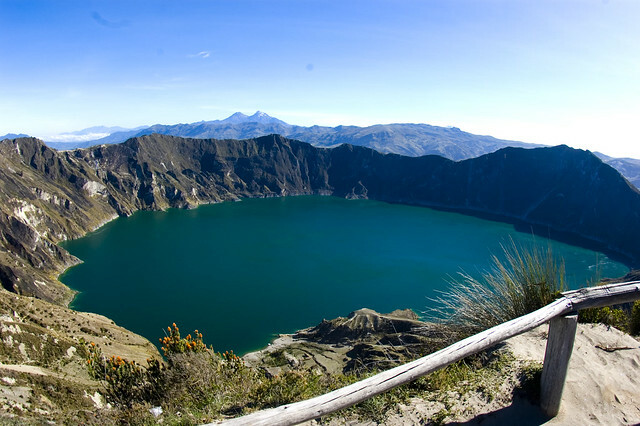 The next day, we start with an early hike down to the deep jade colored Quilotoa Crater Lake. The hike downhill to the Laguna takes about 30 minutes and about twice as long to climb back up. But, you can hire a mule or donkey for about US$2-3 to carry you back to the top, where your breakfast will be awaiting you to charge your batteries for this day’s adventure! 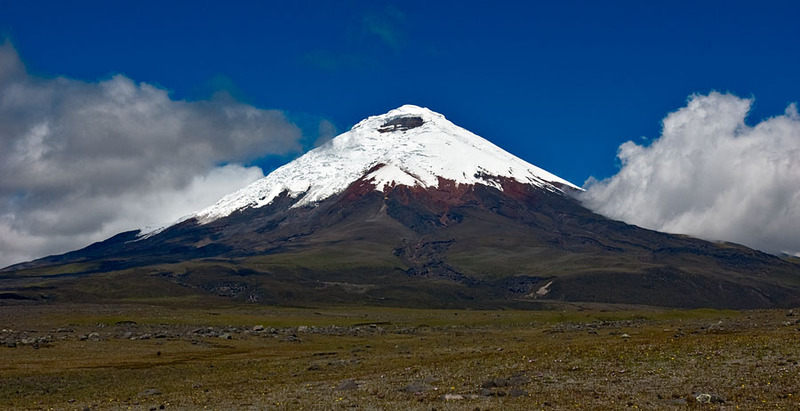 Drive to the Chimborazo Mountain (6310m) the highest and one of the most impressive volcanoes in Ecuador. We drive as far as the first refuge at 4800 meters, and continue on foot to the Edgar Whymper Refuge at 5000 meters. From the highest refuge in the world it’s all downhill – first on foot, and then by bike all the way to the town of San Juan at 2800 metres. 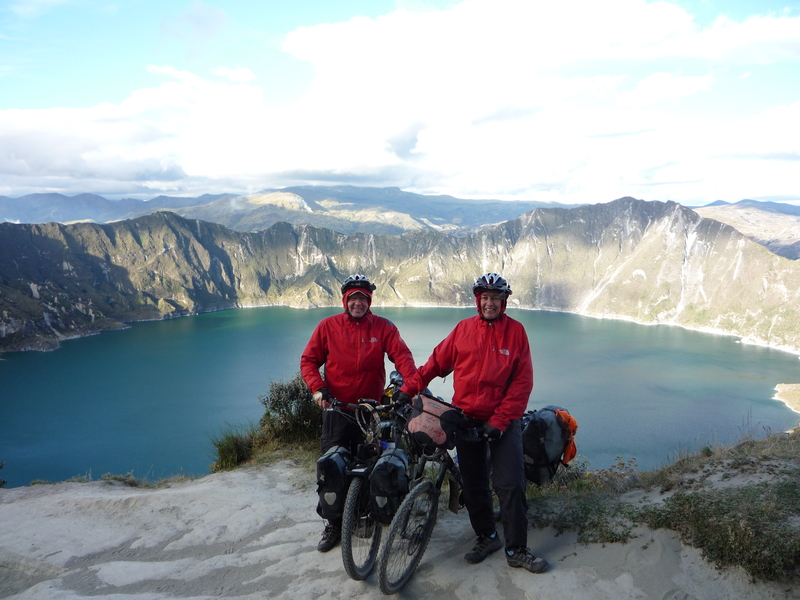 This is an amazing bike ride through paramo landscape to approximately 2600 m of altitude. Vicunas are the sole inhabitants of these wild stretches. Lunch. After around 40 kilometers bike, we return to Quito by jeep.